Bounded by the urban, how can we tune our listening to think differently - or just more deeply - about nature? Karawatha State Forest – as a hard-won, protected-for-now remnant of inner-city bushland in South-East Queensland – has stories to tell us about what it means to be a contemporary public forest. With nature as our material, questions about ‘naturalness’ begin to emerge. What can a former illegal dumping site, transformed by community action, reveal about the rhetorics of the term “bushland” – in our own, and former times? How can we tune our listening to think differently – or just more deeply – about nature, when we remain bounded by the urban landscape? Bringing together women from different artistic backgrounds in free-ranging conversations encompassing place, ecology and ritual healing, this event will reflect on care and commitment, and cultivate new sensitivities. Félicia Atkinson (FRANCE), at the tail-end of her mega Liquid Architecture Australian tour, will be embarking on a process-based mini-residency at Karawatha State Forest with host Caitlin Franzmann. Artist Libby Harward, a descendent of the Ngugi people of the Quandamooka, will offer thoughts including an Indigenous perspective on caring for country in the context of “wilderness” as it relates to the Karawatha environment. Caitlin Franzmann, current Karawatha Forest Discovery Centre artist-in-residence, and Liquid Architecture’s plant-loving Danni Zuvela, will discuss Karawatha State Forest as habitat, biome and retreat. Anne Harris will share her experimental approaches to creating and using natural pigments, ochres and textiles as a way of giving voice to her everyday life, and of sharing the stories of places she connects with through materials. 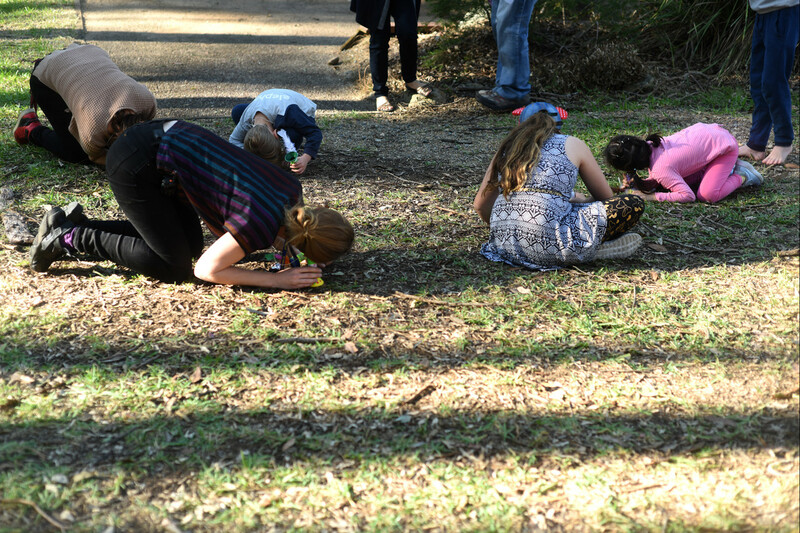 In conversation with Caitlin Franzmann, Félicia Atkinson will reflect on her mini-residency at Karawatha on the experience of being immersed in the unique ecology of Karawatha State Forest. Felicia and Caitlin will discuss how they work, and offer reflections on the points of connection and overlap between their respective practices. The artists will share what they discovered, listened to and felt during their time in the forest together with poetic insights and mellow musings. ...the term vocal fry and its association with young women is another ‘excuse to dismiss, ignore and marginalise women’s voices, both literally and figuratively’.